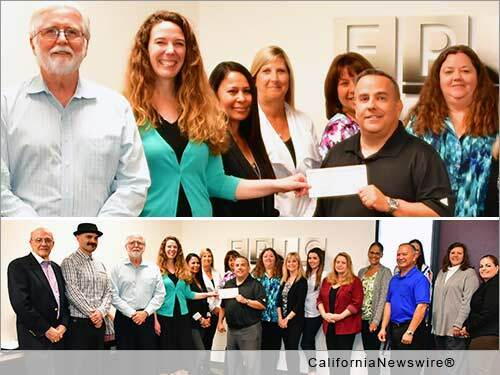 SAN FRANCISCO, Calif. /California Newswire/ — EPIC Insurance Brokers and Consultants, a retail property, casualty insurance brokerage and employee benefits consultant, today announced details of community support provided by their Inland Empire division. In 2015, the "EPIC Invitational Golf Tournament" raised approximately $28,000 for the Joyful Child Foundation. This year's tournament, held on March 25, 2016, generated an additional $40,477 – for a two year total of nearly $70,000. Led by managing principal Dan Ryan and principals David McNeil and Joe Cotugna, EPIC's Inland Empire team has historically been very active in the surrounding community, supporting a variety of non-profit and community service organizations. The Joyful Child Foundation has been one of the most significant beneficiaries. For the past two years, EPIC has been the title sponsor of a golf tournament directly benefiting the Foundation, which is dedicated to protecting children from predators and molesters. Said Dan Ryan, "We have seen the visible impact of our efforts around our community in advertising for the Foundation as well as their increased communications with sponsors and those they serve, including a new newsletter." Erin D. Runnion, Founder of The Joyful Child Foundation shared: "The Joyful Child Foundation – In Memory of Samantha Runnion is excited to have the opportunity to bring our BRAVE Programs to the Inland Empire, thanks to the generosity of EPIC Insurance Brokers. Last year's gift provided training to community partner agencies that serve hundreds of disadvantaged children and we are delighted to have a Master Trainer in the area offering monthly programs at Operation Safe House and establish classes with the City of Riverside's Youth Programs." He added, "EPIC's support made it possible for The Joyful Child to receive a letter of intent to bring the BRAVE Curriculum to Riverside Unified School District, so that we can train teachers to deliver our age-appropriate safety education in every classroom. It takes a community to keep our children safe and EPIC is leading the way to empower every child to be brave and safe." EPIC principal Joe Cotugna added, "We are proud and honored to be able to make such an impact in our community in support of an important organization like The Joyful Child Foundation." "We believe strongly in giving back and making a positive difference," said EPIC principal David McNeil. "It is an integral part of EPIC's 'people first' culture and values." * Facilitate collaboration among individuals, non- profit organizations, schools, businesses, and government to create sustainable community initiatives to ensure that safety education for child protection continue in perpetuity. * To learn more about the Joyful Child Foundation, please visit http://www.thejoyfulchild.org/. – Photo Caption: Presentation of Golf Tournament Proceeds from Joe Cotugna of EPIC Insurance Brokers & Consultants to Erin Runnion of The Joyful Child Foundation.